We are pleased to announce that The Grotto sculpture will be live in Sale from 1st July, please join us for the launch event on Wednesday 1st July at 5pm in Town Square. All welcome. 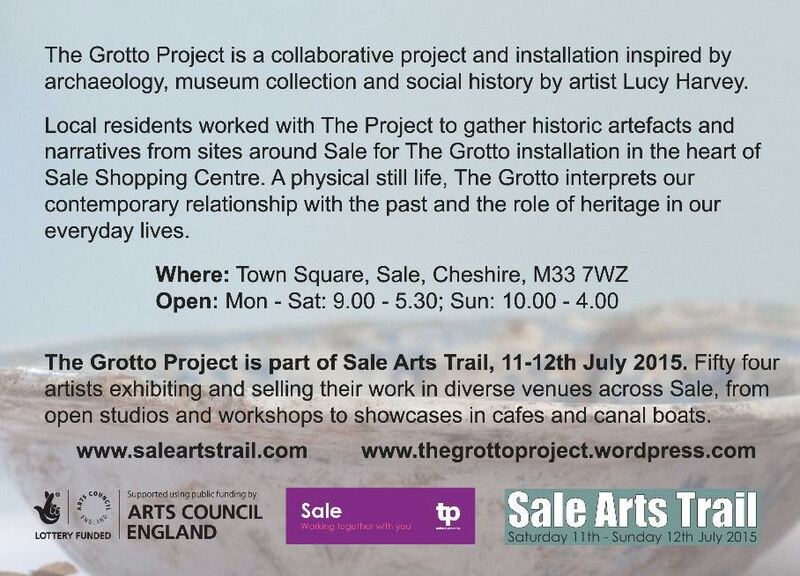 The Grotto will be onsite on the run up to this year’s Sale Arts Trail, Saturday 11th and Sunday 12th July, alongside the work of 54 artists from Trafford and beyond exhibiting and selling their work to visitors at 24 diverse venues across Sale. Over the last few weeks The Project has worked with members of the public from Sale and Sale West, and pupils from Sale Grammar School, to collect historic artefacts from Sale’s past and to develop stories about them. 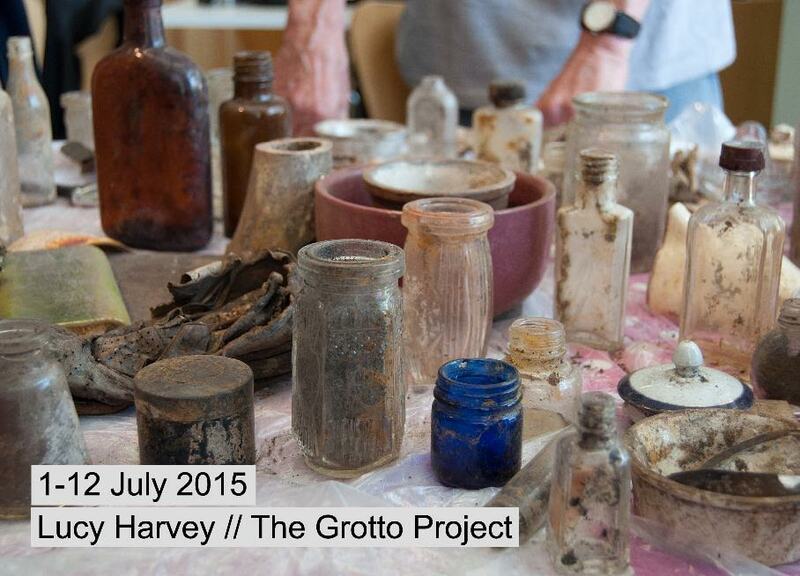 These objects and narratives have inspired the creation of a small and enigmatic domestic space in Town Square which showcases the most fascinating of our finds and ideas about who might have owned them. The artwork invites visitors to consider the role of heritage in our everyday lives and the way that objects can be used to tell stories about people and place. We have been kindly supported through funding from Arts Council England, Sale Locality Partnership’s ‘Make Sale Smile’ scheme and Sale Arts Trail. Find out more about the project here. The Grotto is part of the second ever Sale Arts Trail, pick up a map or check the website to plan your visit: http://www.saleartstrail.com. Join Sale Arts Trail for their launch evening at Sale Waterside Arts Centre on Friday 10th July, 6-9pm, with a group exhibition featuring all 54 Trail artists including myself and The Grotto Project. Thanks to Sale Locality Partnership, Sale Arts Trail, Arts Council England, and of course to you for your support in bringing The Project to fruition in Sale. I hope very much to see you on Wednesday – please let me know if you are able to make it and please forward this invitation on to your contacts!